Goa as the most stunning tourist destination covers a longer coast line that covers various beaches. Goa is mostly famous for its beaches and Goan cuisine. People from all over the world visit this paradise for witnessing the serene and blue water on the beaches. Here one will see the natural paintings on the canvas of nature as the water and beaches are incredibly beautiful. The numerous beaches talk the beautiful story of relaxation. 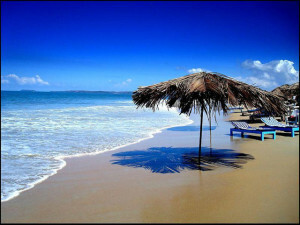 Whether it is a for holidays or for any of the official tours, Goa makes a perfect destination. Not only the beaches but the availability of the luxurious accommodation makes it further comfy place for relaxation. Goa is home to many luxurious hotels and resorts and that attracts the tourist from every corner of the world. If one goes on covering all the beaches in Goa, then it will be suitable to cover one part of Goa and after finishing the visit, one can visit the other half of this state. There one will find many beaches in South and North Goa. Beaches in North Goa are much crowded and are the most favorite places for youngsters. These beaches entertain the youth with many water sports and adventurous activities. The food near the beaches of North Goa is the true representative of the Goan tradition. The beaches at South Goa are more of serene nature and are suitable for introspection. Goa is the place where every kind of mood and emotion gets right treatment. This beach is famous for Trance Music, hippies and Flea Market. Though the hippies have gone long before, still there influence is felt here. The flea market is the best place for shopping clothing. One will find great accommodations and restaurants for enjoying the Goan culture here. The Arambol beach is the most serene beach in North Goa. It is only 50km away from Panaji. One part of this beach is covered by cliffs and this is the reason why it remains calm most of the days throughout the year. But in Sundays the locals and tourists gather here to enjoy the sea. 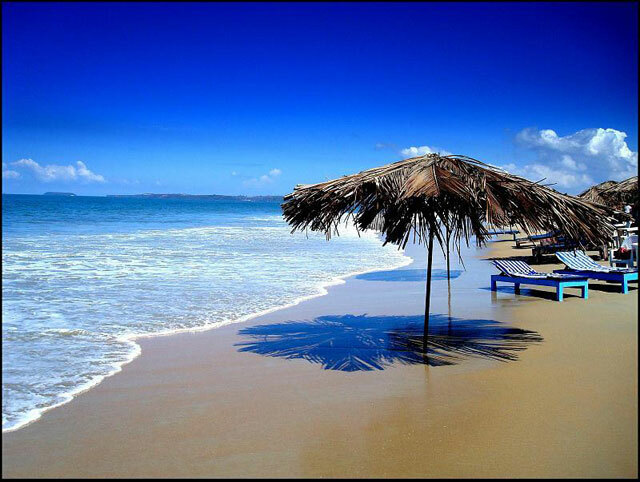 This is one of the most famous beaches in Goa. It is famous for its nightlife. One can enjoy the mouth watering eats and other activities to stay engaged throughout the visit to Goa. This beach filled with natural beauty was believed to be discovered by the hippies. Candolim beach is great for exploring the parasailing and skiing. The longest straight beach does not remain crowed. And one can satiate one’s adventurous spirit here in this North Goan beach. Bestowed with divine beauty, this beach was once famous as a fishing village. Now it is the most commercialized place in Goa. This beach is also known as “Lovers Paradise”. Most of the tourists visit this place for enjoying its natural beauty. This long and solitary beach is famous as the preserved site of the Olive Ridley turtles. One will find all the food stalls packed through this beach as well. There is a mythological belief that it was the shelter to Lord Rama, the central character of the epic “Ramayana”. This beautiful beach is most known for its cleanliness though it remains crowded towards the week ends. This beach is famous for its bluish water, palm trees and silver sands. It is the best place to hang a hammock and to relax throughout the day. Canaguinim Beach: Though it is a less-visited beach but it is cherished for its picturesque view. Most of the tourists visit this place for taking rest on the sand of this beach. This beach covered with golden sands remains clean throughout the year. The surrounding again enhances the beauty of the beach. The presence of numerous palm and coconut trees makes it a cool place to relax. Here one will enjoy sitting on the sand and watching the calm sea from the shore. Varca Beach attracts many of the tourists for Dolphin watching. Unlike other crowded beaches it is not trodden by the crowds and hawkers. The virgin beauty of this beach is the thing of joy that catches the view of the tourists for long hours. The Goa climate is tropical with refreshing monsoons from the month June to September, with the average daily temperature is 27C (85 F ). November to February are the coolest months, with a night time temperature falling to 20C (70F).